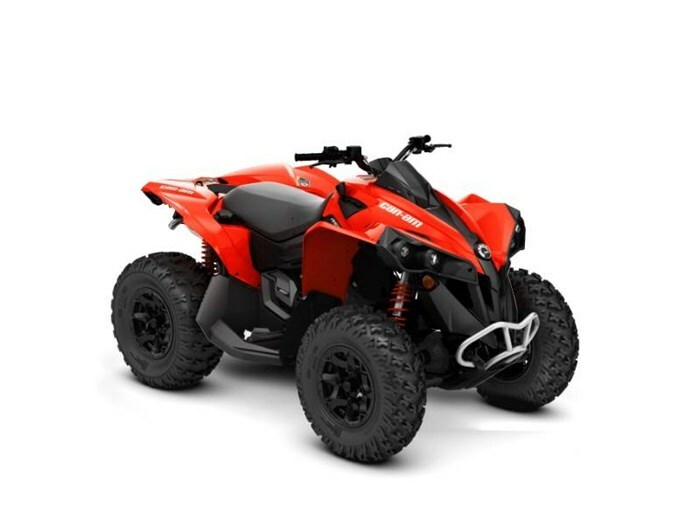 2018 Can-Am® Renegade® 570 PUSH THE BOUNDARIES Take control with the power you want and the ability to easily navigate whatever conditions you encounter. Featuring class-leading horsepower and agile handling, it's simply the best sport-performance 4x4 ride available. 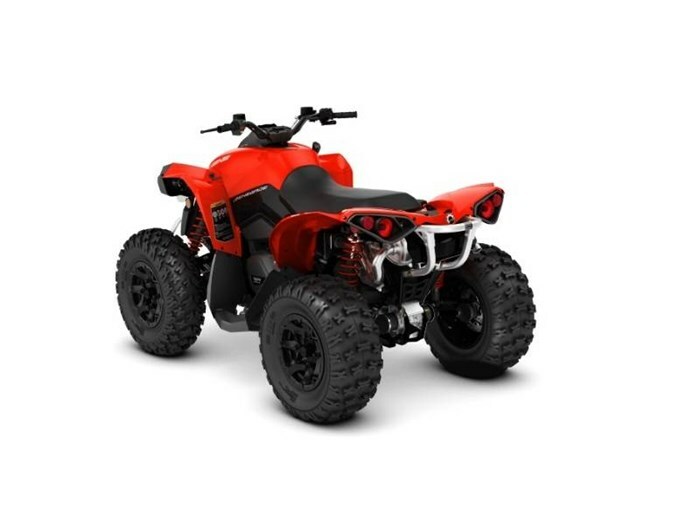 Features may include: ROTAX V-TWIN ENGINE OPTIONS CATEGORY-LEADING PERFORMANCE Available with the 48-hp Rotax 570, 78-hp Rotax 850 or 89-hp Rotax 1000R liquid-cooled V-Twin engine, with four valves per cylinder and single overhead camshafts, the signature Can-Am engine lineup offers unmatched power for a true performance edge. TORSIONAL TRAILING ARM INDEPENDENT (TTI) REAR SUSPENSION ELIMINATES SCRUB AND CAMBER CHANGES The only independent rear suspension that eliminates scrub and camber changes, meaning the wheels pivot up and down rather than in a butterfly motion. This ensures the vehicle moves only in the direction you point it. Reconfigured for improved traction and optimal transfer of power to the ground. SURROUNDING SPAR TECHNOLOGY (SST) G2 FRAME MORE EFFICIENT DESIGN The next-generation, industry-exclusive SST G2 frame with Geometric Contact Control. The more efficient welded-steel frame incorporates new processes and updated geometry for increased structural integrity, improved durability, and precision handling. FRONT & REAR FOX HPG SHOCKS SMOOTH RIDE The Renegade 1000R and 850 wears preload-adjustable FOX high-pressure gas (HPG) shocks, front and rear, with a specific calibration to soak up both high- and low-speed bumps and keep the ride smooth. The Renegade also offers a ground clearance of 10.5-in. (26.7 cm). 25-IN. (63.5 CM) ITP HOLESHOT ATR SPORT RADIAL TIRES ON 12-IN. (30.5 CM) CAST ALUMINUM WHEELS VERSATILE TIRES ON RUGGED WHEELS A versatile tire for proven, all-around trail performance and traction in a wide variety of conditions. Installed on 12-in (30.5cm) cast-aluminum wheels, with a centerless design that reduces unsprung weight and offers improved strength. Durability was increased in strategic areas while excess material was eliminated in other spots to save weight.